I get excited (in an eye-rolling sort of way) when I discover means for putting a finer touch on how to dress with style and sophistication. 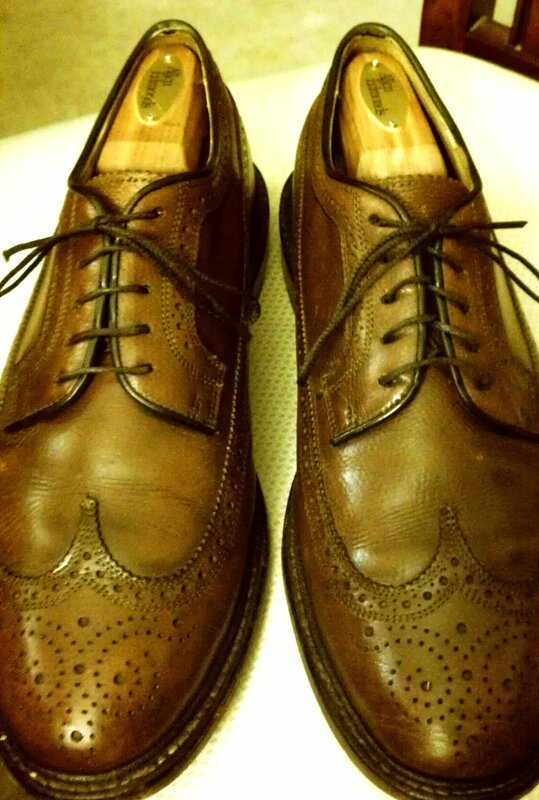 Today I discovered a method for lacing dress shoes that gives an classier look worthy of dressier footwear. It’s known as the European Method, and I discovered it thanks to one of my favorite men’s style blogs, Put This On, which directed me to one of my other favorite men’s style blogs, A Suitable Wardrobe and this video. A little practice was needed to get it right, but the result is worth it. Here’s a picture of my Florsheim Imperials with the new European Method shown on the left, and the old criss-cross method on the right. This entry was posted in Clothing, Style and tagged dress shoes, footwear, laces, shoe, Shoe tree, shoes. Bookmark the permalink.